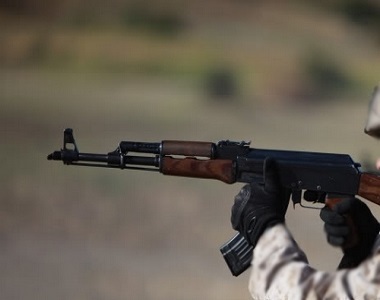 HRANA News Agency – Raghad Savari, a 3-year-old kid was killed with the direct shot of the security forces at “Allawi Avenue” in Ahvaz and her mother was also seriously injured during this incident. According to the report of Human Rights Activists News Agency in Iran (HRANA), by the security forces’ direct shot at a vehicle carrying a family, a three-year girl named “Raghad Savari”, daughter of Abbas was killed instantly and her mother was seriously injured, on October 24. A close source to Savari family told HRANA’s reporter: “At 22:00 on October 24, at the “Allawi Avenue” in Ahvaz, security forces with a military plate shot towards this family’s car that unfortunately, their 3-year-old girl was shot and she died immediately and her mother was seriously injured, and she was admitted at Golestan hospital in Ahvaz”. However, according to eyewitnesses the reason of shooting was the lack of driver attention to the post’s stop command, but because of the silence of police forces and judicial authorities, the reasons of shooting as well as the details of the related forces are not known yet.